Don't let an injury get you down! The Child in Wheelchair can move around easily while on the mend. 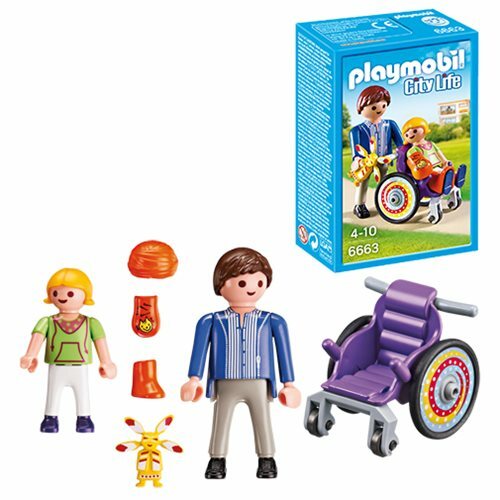 Set includes one adult figure, one child figure, wheelchair, casts, and toy doll. Ages 4-10.